Tokyo’s Ginza neighborhood is well-known for its fiercely competitive bar scene, and it’s no surprise that it served as a fitting proving ground for Hisashi Kishi’s unique and highly acclaimed establishment, STAR BAR. 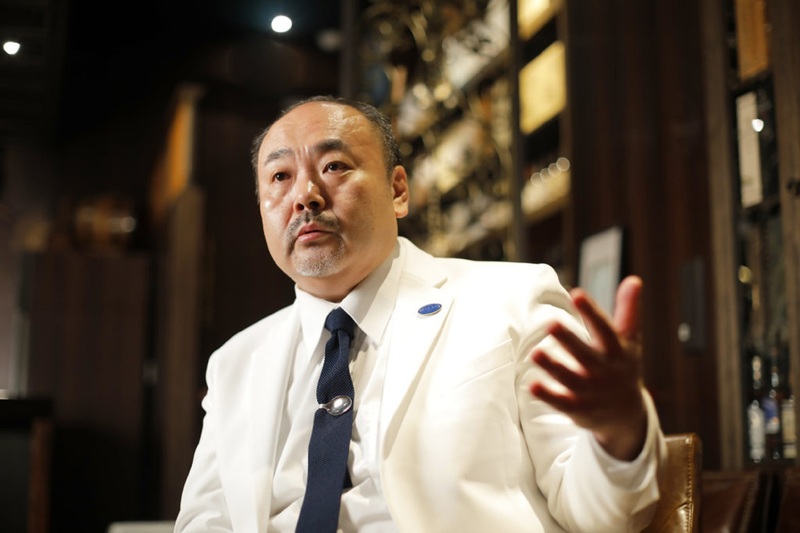 In 1996 at age 31 Kishi rose to the top of the international bartending stage by winning the world-renowned World Cocktail Championships organized by the International Bartenders Association. 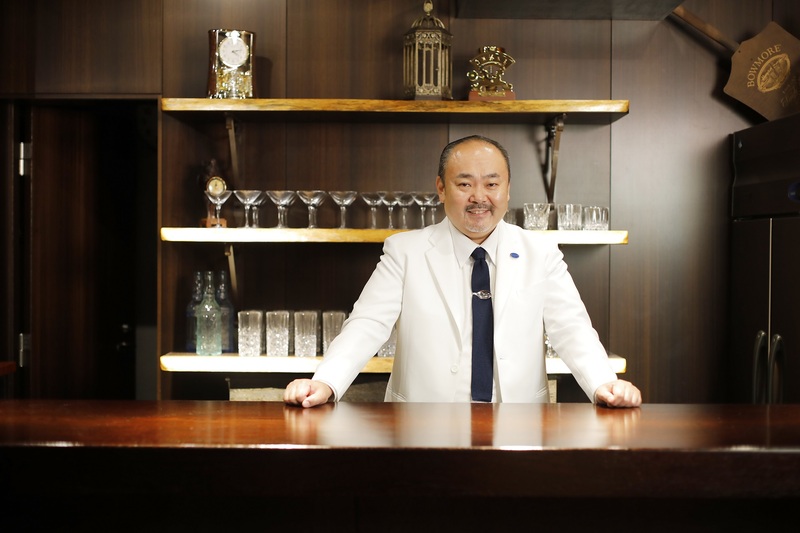 Then in 2008, after building up his unique approach to cocktail making, Kishi was the first bartender in history to receive Japan’s “Contemporary Master Craftsman” commendation. 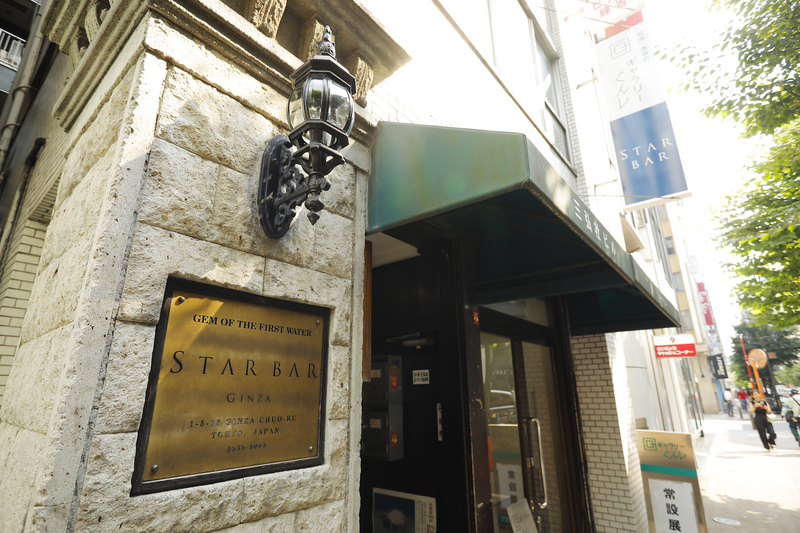 As the owner of STAR BAR, which has also been featured on the World's Best Bars list, Kishi is considered to be a true bastion of Japan’s bartending industry. So, naturally we were curious to learn more about his early days in the industry and see how he’s grown along the way, as well as get some insight into the underlying principles that have guided him throughout his career. These questions led to a deep and insightful conversation that touched on many of the defining elements of the bartending profession. Point1. Taking stock of where the bar industry was and using that to trailblaze into the future. Point2. The advantages of quick and thorough self introspection. Point3. An honest approach to service is nothing less than essential for a bartender. Your career has an illustrious list of honours, including a win at the IBA World Cocktail Championships, a “Tokyo Meister” commendation, and the distinguishment of being the first bartender to receive recognition as a “Contemporary Master Craftsman.”But before we get to that, I wanted to ask if you ever thought about growing up to become a bartender when you were young? No, becoming a bartender didn’t really cross my mind early on. My first entry into all of this started after I took on some part-time work at a restaurant and bar in Shimbashi. Once I got in there I found out that I really liked the work. This inspired me to go further with it and enter bartending school. 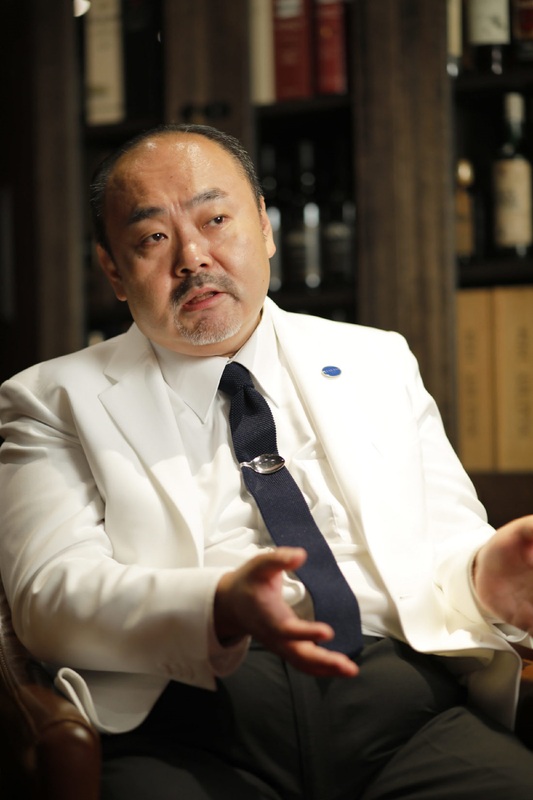 Was working in Ginza your first priority when you finished up with bartending school? Initially I was looking at Shinjuku rather than Ginza. But, the president at my bartending school in those days was quite adamant that Ginza was the place for me. And you know Ginza has this particular atmosphere to it that conjures up both the past and present. After hearing that type of insistence I felt like I needed to go even if the reason was still somewhat unclear to me. Anyway, that’s how Ginza ended up being the first destination of my career. That’s interesting to hear! It looks like that school president really had you figured out and knew that Ginza would suit your personality. You started working when you got out of bartending school, but you didn’t just bartend, you also decided on your own to enter competitions and look into making your own drinks. When did you realize you wanted to take that kind of stuff on? After I graduated from bartending school I was able to get a job at a reputable members-only bar in Ginza. Right when I was out of bartending school I must’ve been around 22 or 23, and my boss at the time, who was also a sort of a mentor to me, spoke to me in a frank, yet concerned manner to let me know that my skills and knowledge still needed a lot of work. But that cautionary warning also came with the caveat that I should be fine despite that bit of concern. This mentor of mine had incredibly skilled talents and a repertoire of famous original cocktails, as well as a real passion for good customer service. I really learned a lot from being close to that level of expertise. Everything that I learned in those moments still sticks with me today. And since the bar I was at was members-only, I had to get to know each customer really well to make sure that my service was where it needed it be. As I got working and settled into the environment I noticed that everyone has a “type” of some sort. Feeling like you have to learn everything that you can is very important, but you can also overextend yourself through that no matter how hard you try. Some things are just innate to who you are. So you’re saying to first look at your own personal traits and then choose where to go from there? And between making drinks and customer service, you put your focus into one of those based on that type of thinking? In my case I didn’t think that I was the type for customer service. When I would see the incredible service that my boss was able to put out, I felt like it wasn’t something that I could excel at. I figured that it would be exceptionally difficult for me to succeed in that area. I completely believed that customer service just wasn’t something that I could do well. That meant that in the beginning all of my efforts were put toward crafting drinks that showed off my own originality. I certainly had customers in mind, but I felt that first I needed to make my drinks work on a technical level, or else they would just fall flat with customers. It’s surprising to hear you say that you didn’t think you were cut out for the customer service end of the job. That seems to be why you got so involved in the technical and creative side of cocktail making. I had never even had a sip of alcohol before I got started with all of this, so at first I didn’t have any real inclination of what was good or bad. There was also this time when I went to study wine formally and I actually had no idea what anything was (laughs). But you know over time I started to pick up on things and get to know the differences and subtleties little by little. There was this one time when I a customer of mine took me to a high-end sushi restaurant for the first time in my life. I remember thinking about how when you eat sushi for the first time it clicks right away with you in terms of enjoying it. But, alcohol isn’t really like that. Could you elaborate on that a little more? Basically what I’m saying is that no matter how vintage or high-end the alcohol you’re drinking is, if you’re talking about first time drinkers then it’s nothing more than just liquid to them. It’s not always easy for people to understand what’s good or bad at first. As you drink you start to realize the differences over time, and as you learn more about the drinks themselves you’re appreciation of them tends to go up as well. It all comes down to little subtleties with these drinks, which means that the technical side of it all has to be in focus as well. I realized all of this from very early on, but even so I still wasn’t sure as to whether my drinks would be any good once I started to focus on them. I thought that for the time being I really just needed to listen to people. This is something that I came to on my own in the end. I figured that I had to get started by hearing people out and getting their thoughts on the stuff that I was working on. This, however, put up another roadblock for me. You can ask customers directly about their thoughts on a particular drink, but as you can imagine the answer is typically just a polite reply about the drink being good or something like that. Even if the drink is a bit weak the customer will just say thanks for showing them concern. But it’s not really about the concern, you know? (laughs). While I was looking around to solve this issue and find some honest opinions about what I was making I came across a cocktail competition put up by a bartending association. I figured that that would be the perfect situation to get the kind of feedback I was looking for. So your entry into competitions was based on your desire to better understand what sorts of flavors people liked with their drinks? Yeah, it wasn’t necessarily because I was into making drinks or that I had some ability in that. Going back to what I was saying about having a type, I would say that competitions are good for types like me. I didn’t have a strong taste for alcohol, so I avoided making really strong drinks in an effort to appeal to others with similar tastes. It wasn’t just about flavor either. I also focused on every other detail behind the drink, things like color and other decorative components. Take a famous drink like the “Blue Hawaii” (*1) for example. Once anyone sees that deep blue color they know right away that it’s a Blue Hawaii. But up until this point I wasn’t putting together the link between the name of the drink and its visual presentation. The name and everything else around it have to instantly connect to the cocktail itself. *1. Blue Hawaii A rum based cocktail originally conceived in Hawaii. It uses a blue-colored liqueur called “Blue Curaçao.” The cocktail’s blue color is said to represent Hawaii’s blue skies and ocean. Son in some ways you had a main strategy of sorts that was based on synchronizing flavors and other characteristics? The opinions I got from judges at competitions was roughly unanimously in some cases and then much more varied in others. I took their feedback and used it to try and make little improvements here and there. Then I would adjust things further based on some of my own judgements and considerations. What we call a “bar” is something that was originally imported here from abroad. Bars are native to America and places like London and Paris. But after a period of flourish and splendor there were prohibition laws put into place that halted bar culture for some time. So after that bars still have some of that sociable atmosphere from before, but I think that the idea of focusing deeply on creating drinks kind of faded to some extent. Japan on the other hand followed a different course in history. With bars being imported here from elsewhere, there was always a certain respect for them that never faded. That created an environment where things could keep progressing here over time. The original model wasn’t strictly followed, but the core essence remained, even as other things changed throughout this process. If you take a look at say French food then you’ll see a variety of different styles under one umbrella, but it can’t really be considered French food anymore if it deviates too much from those core ideas. In Japan’s case it starts with a repetitive process of doing the same thing over and over, steadily refining it along the way. Then throughout that process you’ll start to see creative differences come to the surface. In the 2000s there was a sudden rush of young bartenders coming here from abroad, and they seemed to really get the little differences that are present here in Japan. 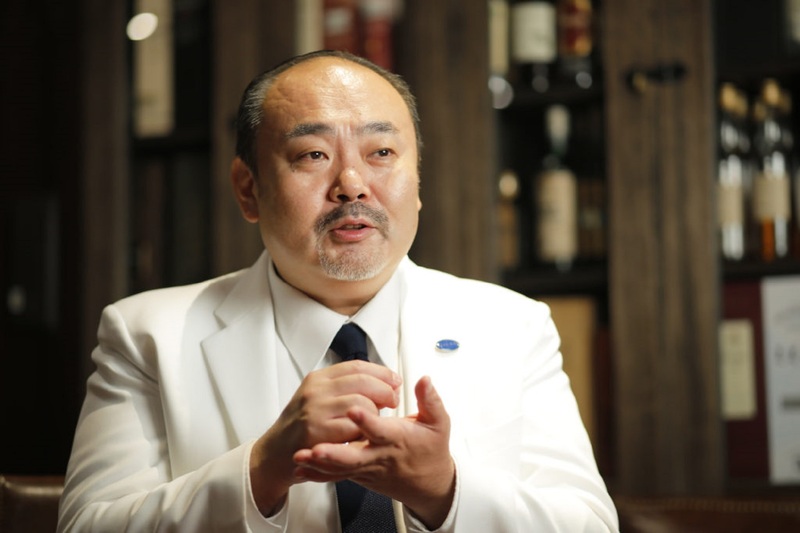 You were the first person from Japan to win at the IBA World Cocktail Championships (*2). Did this fall in the line with that moment you just mentioned? No, what I was talking about before came a bit later. At this point Eastern Europe was still very much a communist region. Bars and what have you were still limited to night clubs and such, but even so things moved forward within that sector and more people started come forward with new drink ideas. And when people would come here from abroad seeking out knowledge I would do my part to teach them what I knew. Some of these same people are winning on the world stage at different competitions and major world championships. *2. IBA World Cocktail Championships A competition held by the International Bartenders Association, or “IBA’ for short. Each member nation hosts their own competition and the resulting winners then go on to compete for no. 1 in the world at this championship. In 1996 Kishi succeeded in becoming Japan’s first ever world champion. And all of those techniques that were cultivated in Japan took flight throughout the world it seems? Yeah, this period of about 15 years brought on dazzling changes throughout the bar world. 2 minutes walk from Tokyo Metro Yurakucho Line "Ginza 1-chome Station"